I wanted to get an Agile Certification this year. After I did a quick search on the Internet, I found that there are number of certification bodies. But I wanted to get the best agile certification. 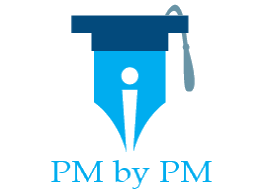 So, the natural choice would have been to go for the most popular and top agile certification – Certified Scrum Master (CSM) from Scrum Alliance. But, popularity does not equate to the best. Even though CSM is one of the top agile certification, it did not meet my specific requirements. So, I decided to look beyond CSM. I found a better option that, I think, is the best agile certification. The world of Agile development is very different from regular project management. For regular project management jobs, recruiters specifically ask for a PMP. In the world of agile, knowledge and expertise is more important the certification itself – you get more recognition if you can demonstrate more knowledge. I am not looking for a job but extra knowledge always helps. I wanted to get as much knowledge as possible. I did not want to limit my knowledge only to Scrum methodology. Scrum is only one among the many Agile methodologies. CSM focuses only on Scrum, so I started looking beyond CSM. I wanted to get the certification from an internationally recognized, independent certification body. There are a many competing Agile certifications out there. I chose the Agile Scrum Master (ASM) from EXIN. EXIN is an old and established player in the ICT certification industry. It offers internationally recognized certification programs. It has a huge certification portfolio that cover all ICT competence areas. Having ASM validates knowledge & skills of Agile framework and Scrum methodology. It goes beyond CSM’s Scrum-only approach. To attain ASM, it is mandatory to get training from an EXIN accredited training provider. After choosing ASM, my next step was to find an EXIN accredited training provider. Simplilearn is an accredited EXIN training provider. They are also one of the largest providers of online and instructor-led certification training. EXIN & Simplilearn recognize each others’ strength and they have partnered with each other to fill the Agile Scrum skill gap. I have reviewed some of the Simplilearn’s courses in the past. I like their approach to training. So, I shortlisted their ASM training course. I contacted Simplilearn to learn more about the course. Since I am an independent blogger, they gave me a discount on the course. But to my surprise, they offered discounts to the readers of this blog too. Now, this was the icing on the cake. It’s actually an incredible discount. You can read more about it in the highlighted portion below. Agile Scrum Foundation (ASF) is an entry level Agile certification. EXIN recommends that candidates should get ASF certificate before appearing for the ASM exam. Simplilearn is offering an unbelievable discount on their ASF course exclusively to the readers of this blog. You can enroll into the ASF course absolutely free. Yes. And there is no catch. But you will have to hurry. This exclusive discount is available only to the first 50 members who enroll. Every trainer has a unique style of teaching. As an instructor myself, whenever I attend someone else training sessions, I always wonder if I could not have taught it differently – and maybe better! Ultimately, what matters is that the trainer is effective. And I’ll say this: Simplilearn’s ASM trainer was definitely super-effective! I enrolled into the course after Diwali. It is still early days, but I have completed 2 eLearning lessons and already love the course. It offers flexible learning options for busy professionals like me. If you miss a class, you can attend repeat sessions in a 90 day period. You also get 180 days of eLearning access, downloadable study material, learning scenarios, and case studies. The exam fee is included as part of the course. I believe the course is excellent but let us do a thorough analysis and look at the pros & cons. The course can be accessed via Android and iOS apps, meaning you could potentially learn from anywhere. The videos are of studio quality and are very well done. The eLearning course is done by an immensely knowledgeable and experienced trainer. It has all the attributes of a self-learning course viz. decent pace, good voice quality, clarity in instruction and streamlined flow. There is complete coverage of Scrum topics with a good introduction to other Agile methodologies. The course has learning games and quizzes to help you regularly check & validate your knowledge. The course PPTs can be downloaded for offline study. Full-length mock tests are included as part of the course, which are essential for the final exam prep. The pace of instruction is good but sometimes you need to skim/skip over a few things. The video played does not have the feature to increase/reduce the speed of instruction. The downloadable PPTs are different from the PPTs in the eLearning course. Every New Year, millions of people make resolutions they intend to keep, only to forget all about it a few days into week 1. So this time around, I decided not to wait until December to make my resolution. And by the time New Year arrives, I would have accomplished my goal. So What is my Resolution? A few days ago, I decided to attain an Agile Certification. I have good knowledge and experience of Scrum methodology. I also conduct Scrum training workshops. But in today’s world, true recognition only comes with a certification – professionals value your knowledge and skills if you have passed an independent certification test. Overall, I am happy with Simplilearn’s ASM course. It is very well designed and meets my expectations. I would definitely recommend it to the readers of this blog. If you decide to go for ASM certification, Simplilearn is offering another free goody – you can take their free ASM practice test. Just as I have taken a pre-New Year resolution, you should also take a resolution and attain a new certification. It can be an Agile certification, if it aligns with your professional aspirations. Agile and Scrum are highly in demand so getting certified is a great choice for one’s career but there are so many courses available that its hard to decide which one is best. This article recommends a really nice course and provides all its details to help us decide if we should go for it or not. thank you for your great website and also this article on Agile. I passed the Scrum.org exam PSM-I and hoped this exam would have been included in your comparison. I just found this blog entry in my similar search for Agile training. Unfortunately, your coupon code just expired. Do you think there is any chance you can get Simplilearn to extend the offer? I have requested Simplilearn about it. They are yet to respond. I will update the blog post if they respond positively. I would also be interested in taking advantage of the coupon you presented at the end of last year. What about Scaled Agile’s SAFe course? What do you think of it? PMI-ACP would result.